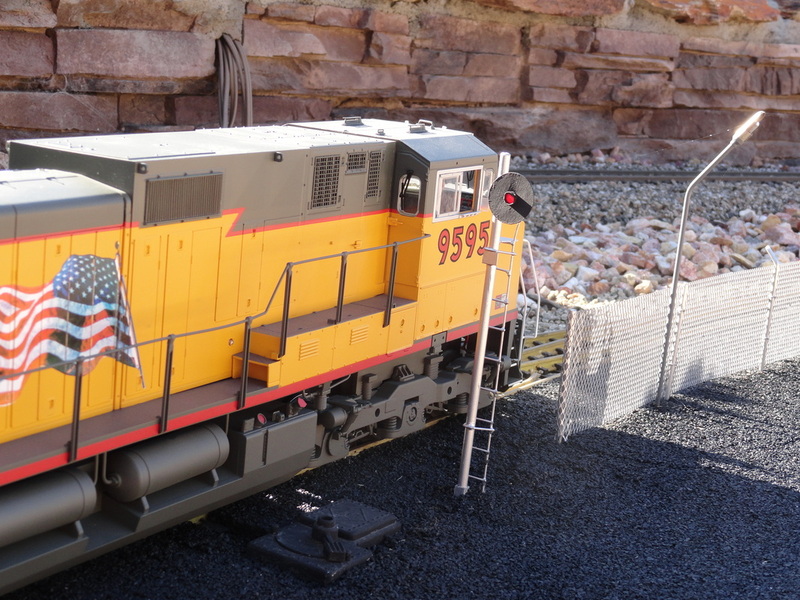 Signals are a must on real railroads, however not many model railroads use them. 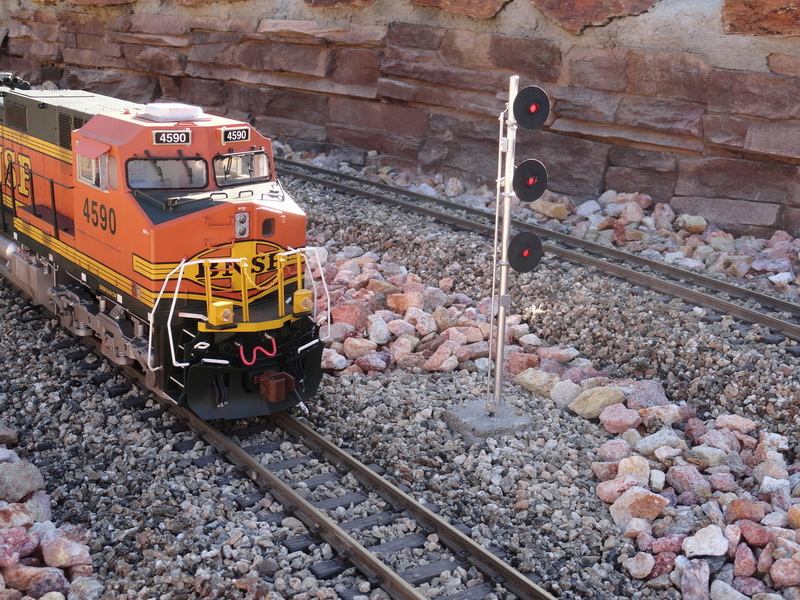 Even though more and more signals are available in G scale from various manufacturers, I built my own from brass, piano wire, and polystyrene. 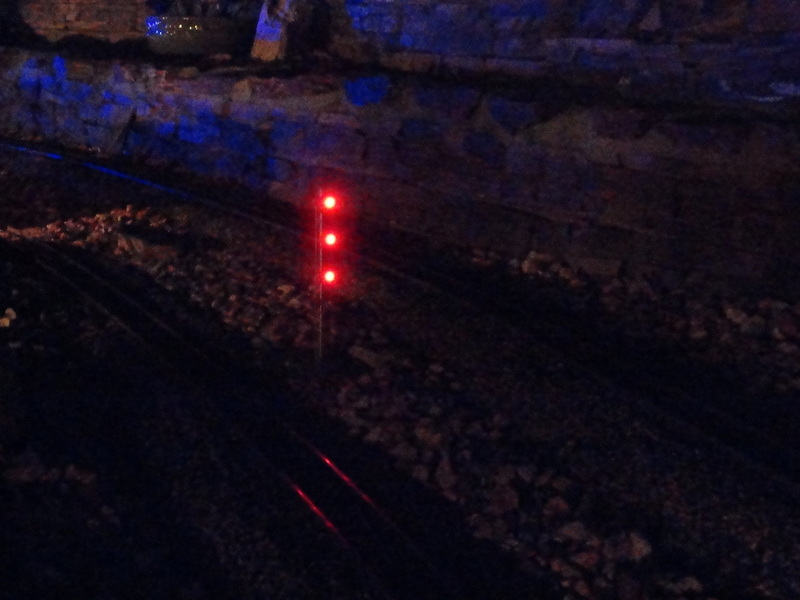 Each target has a multicolor 5mm LED that can be changed from red, to amber, to green. 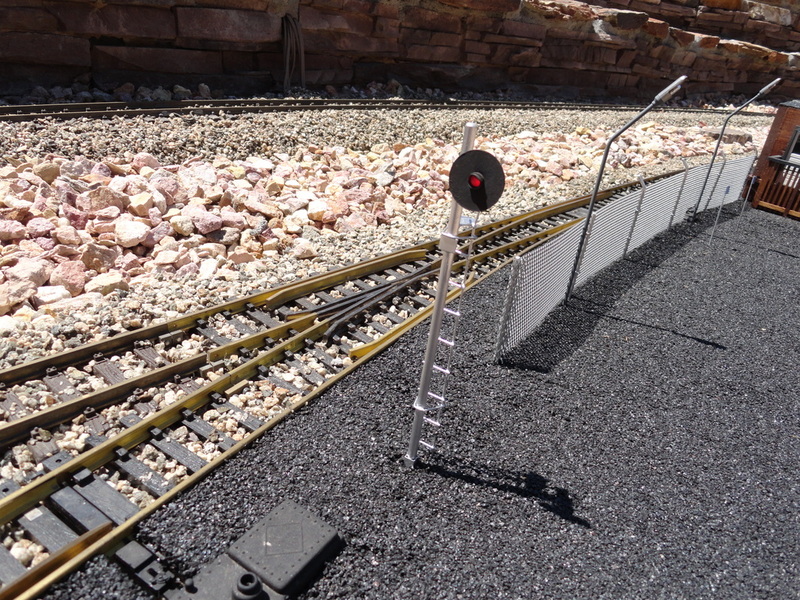 These signals are manually controlled from a hidden panel located around the targets. 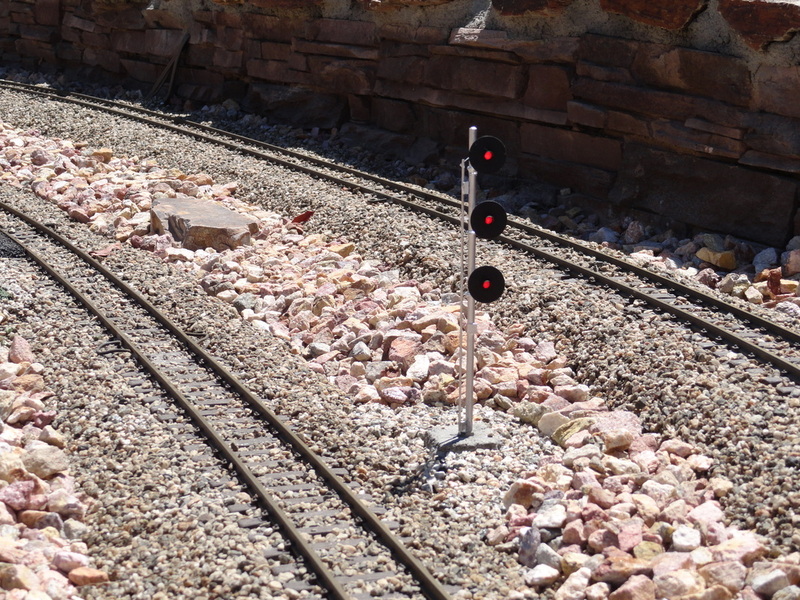 The design for these signals is very simple to construct. The round target is made using a 1" metal hole cutter with a 0.25" drill bit. 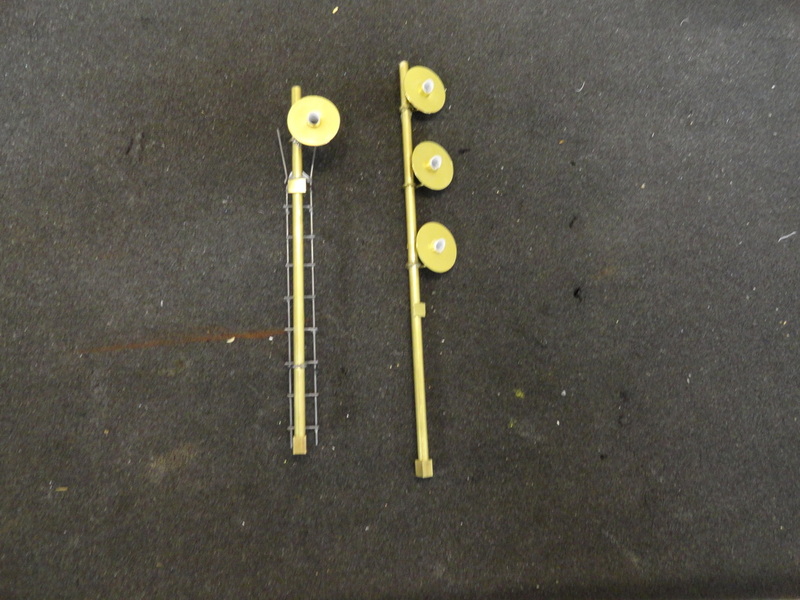 Thin polystyrene is then cut out to from the lamp shade and wrapped inside the 0.25" brass rod that will hold the LED. You can play around with this until you get the LED to fit in tight. Once the head is made, brass wire is used to connect the target to the mast. 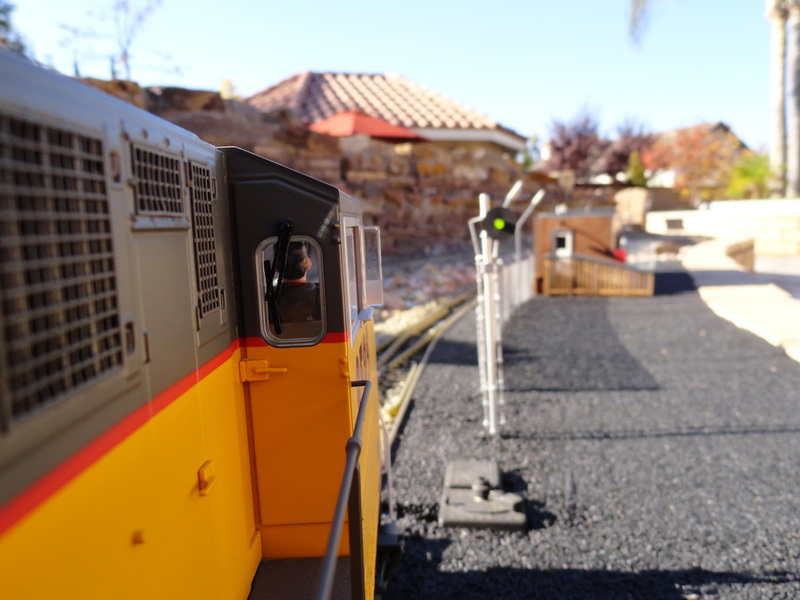 If you want to run wires through the pole, make sure you drill a bigger-than-you-think-gap in the rod before attaching the target. Trust me, the more room you give yourself to feed wire, the better! Finally, a drop of thick CA glue will make the cap at the top of the mast, and a square brass rod can serve as the base of the signal. After paint, you can wire the LED's into place. 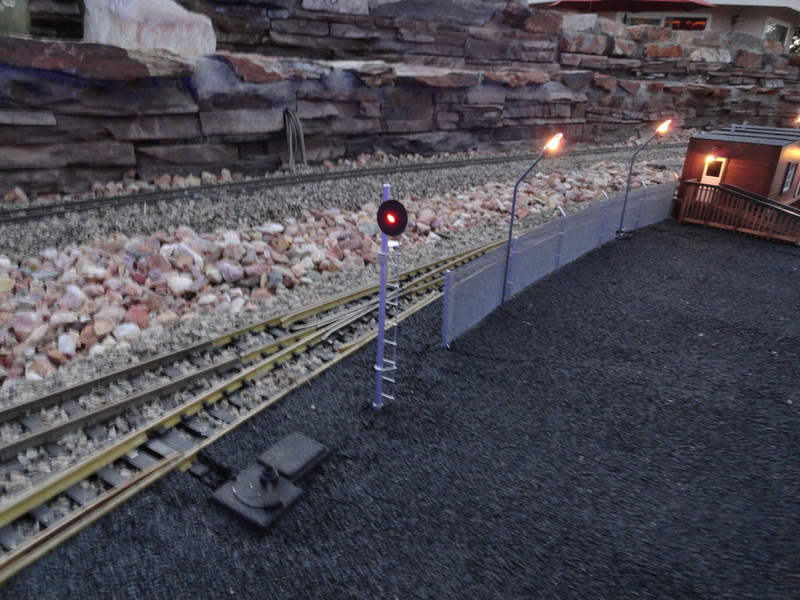 After the signal is painted, the wires can be run through the mast and connected to the LED. I had good luck running wires up from the base and taking a dental pick to pluck the wires out of the mast when they were at the appropriate cutout. Patience is a virtue with this process! Each LED has three wires coming down the mast. If you went with a single color LED, you would only have two wires per LED. For the triple head target, there was no way for me to run nine wires down the tube. I added a brass wire down the outside of the mast and connected the common leg of each LED to that rod which allowed me to get the rest of the wires down the mast. Once the wires are in place, solder on the LED's and pull the excess wire back down the pole. Use touch up paint to cover the wires and coat the back side of the LED. 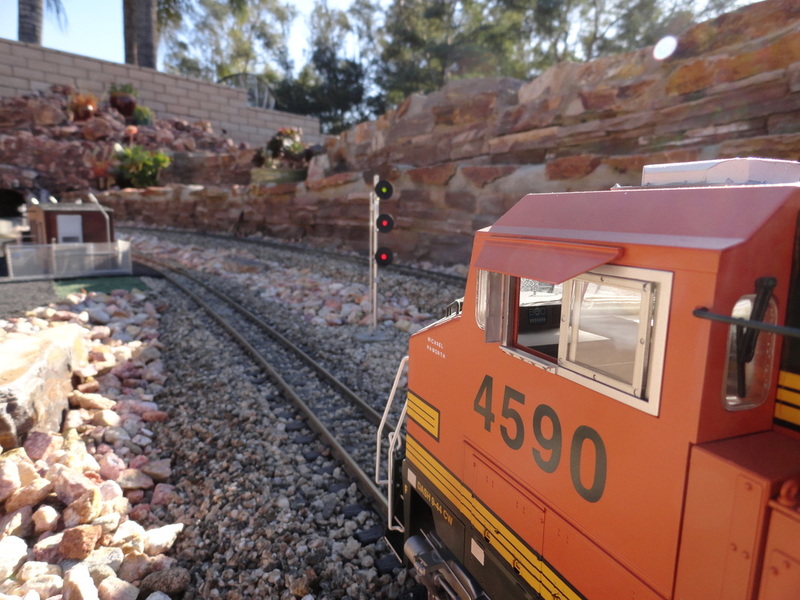 Once you have built one signal, the next one will be much easier!